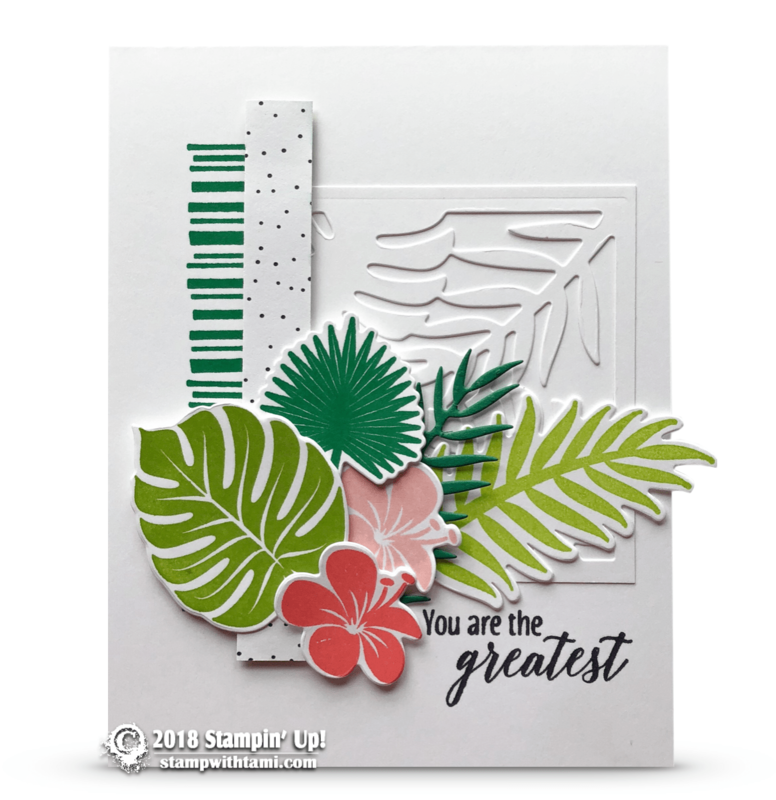 “You’re the Greatest” card from the Stampin Up Floral Chic stamp set and coordinating Floral dies bundle. Yet another fantastic project created with this gorgeous bundle. A couple strips of the matching Tropical Escape DSP on the background.